My first day in the “city of churches” started with a tram ride and a visit at the beach. Adelaide got it’s second name because it was the first city where everyone had free choice of religion. In the evening I met Gerry (I met him first in Bangkok) again, who showed me around the city. Adelaide has a lot to offer, if you have enough time… For me, being short on time, it was my first break after travelling almost 5000 kilometre in 10 days (It’s about 3000 kilometres from Darwin to Adelaide, and about 1000 kilometres per trip I did) . I originally planed to stay just two nights there, but, plans change frequently… I visited the beach a few times, which is a nice trip by tram and enjoyed the relaxed atmosphere of Adelaide during the night as I explored some pub’s and bars with fellow traveler’s I met in the youth hostel. 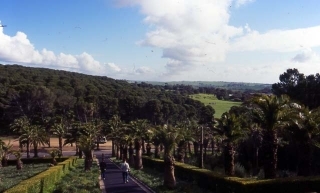 If you like wine as I do, there is no way to skip Barossa Valley if you have a day or two in Adelaide. 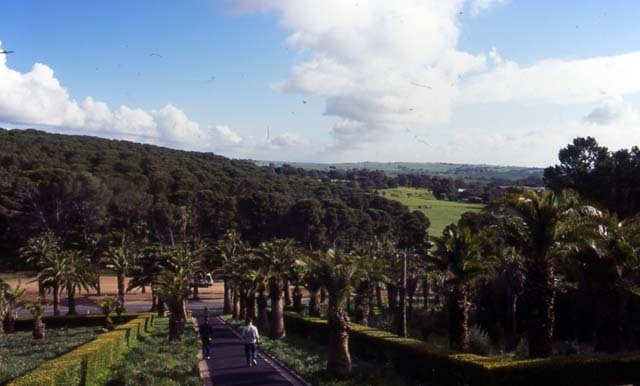 The Barossa Valley is about 55 km north east of Adelaide. Many agencies’ offer day-tours leaving Adelaide in the early morning, I booked a tour with Groovy Grape, but I guess they are all pretty similar. Our first stop was the “Whispering Wall”, a concrete dam wall with an unbelievable acoustics, normal conversations held at one end can be heard clearly at the other end, more then 140 Meters away. Our next stop was Orlando, one of the oldest wineries in the valley, established 1847. Next was a lunch break and we continued with two more wineries and a distillery. I ended up with 26 different wines and 3 cocktails. My favourite was a Port Wine named “Choc a Bloc”, (or something like that), but I unfortunately forgot the name of the wineries. I wonder why… Later that day I found out that being “tipsy” doesn’t mean to be able to sleep on a bus, as I travelled from Adelaide to Melbourne.